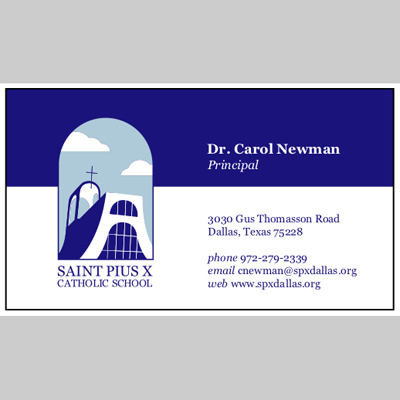 I created an identity for my alma mater, Saint Pius X Catholic School in Dallas, Texas. The package consists of a new logo, letterhead, envelope, and business card. 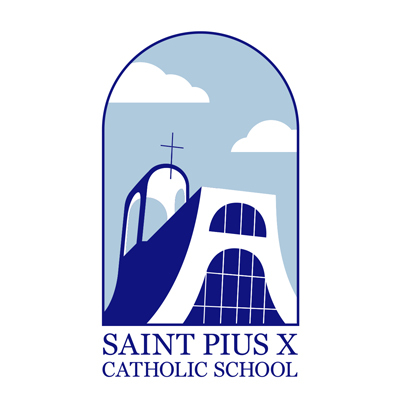 The color scheme is consistent with the school's colors, blue and white. The shape of the logo itself references the arches and windows present around the campus and the church.